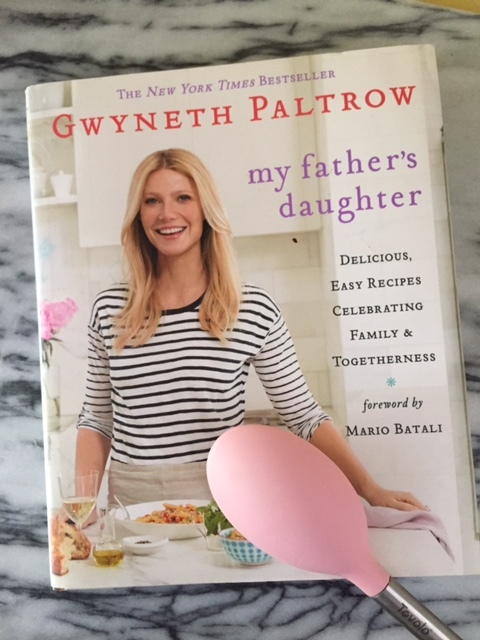 Who’s in the kitchen with Gwyneth? Mac! And Cheese!! And so, here (call it healing #2), ironically, is a recipe for macaroni and cheese. Specifically GP’s Mac and cheese. A word before we dive in: I enjoy Mac and cheese well enough. But all that orange cheese or wettish sauce has made our relationship hit or miss, and generally I feel if I’m investing in a thousand calories, I’d rather have something else. Capisce? So when reading My Father’s Daughter, I noticed that GP’s recipe calls for mascarpone and Parmesan – nothing orange (Wisconsin or otherwise). Intrigued, I gave it a whirl. And, dear reader, we’ve been dancing ever since. Note: I’m not 100% gluten-free, but I avoid it when I can. 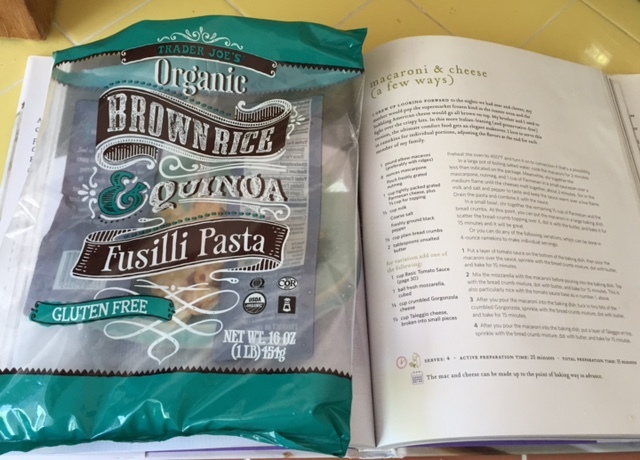 In this dish, trust me, when it’s all done, you cannot tell that you’re not eating standard pasta and breadcrumbs. It’s delicious. So here you go – take Gwyneth’s Mac and cheese out for a turn. You don’t always have to dance with the one what brung ya’. It’s a recipe you’ll come back to. Enjoy! Combine the mascarpone, 1 cup of parmesan, nutmeg and cream in saucepan and melt together over medium heat. Add salt and pepper to taste. Stir the sauce into cooked pasta in a large bowl. Add caramelized shallots and bacon (if using), and stir to combine. Pour into baking dish. Combine ½ cup Parmesan with rice cereal and sprinkle over top. Drizzle with melted butter. Bake in a 350 oven for 20 minutes. Cool slightly and enjoy with a mustardy frisee salad. 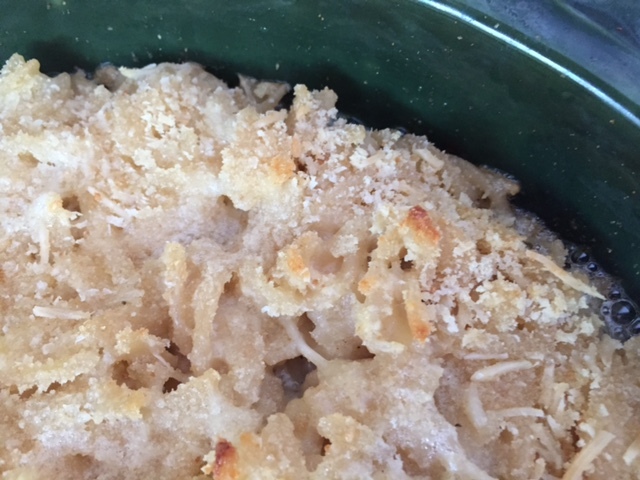 This entry was posted in Recipes and tagged Gwyneth Paltrow recipe, mac and cheese, mascarpone by Caroline Siemers. Bookmark the permalink.